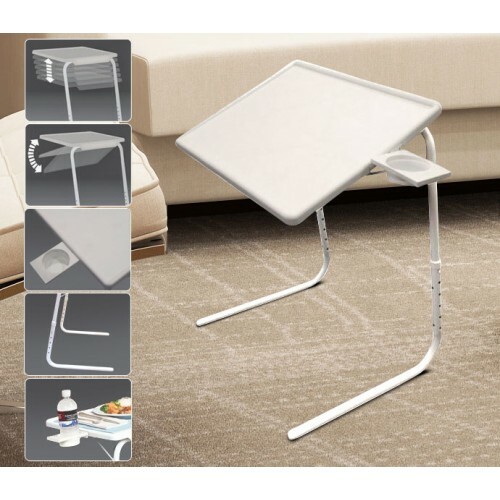 Take out the Table-Mate II when you need a space for crafts, paperwork or dinner in front of the TV! 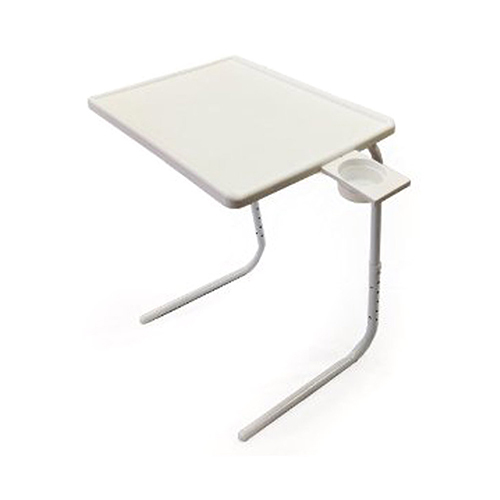 This sturdy table adjusts 23" to 30" has 3 tilt angles a wipe-clean surface & 2 minute no tool assembly. Folds for slim storage. 29 1/4" Height, Tabletop: 15" x 20". Polypropylene steel based.